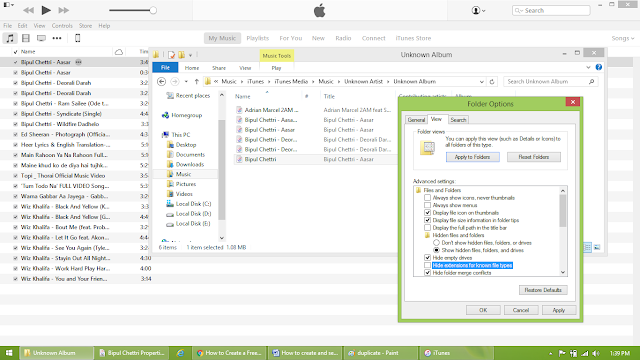 How to create your favourite song as ringtone with iTunes. 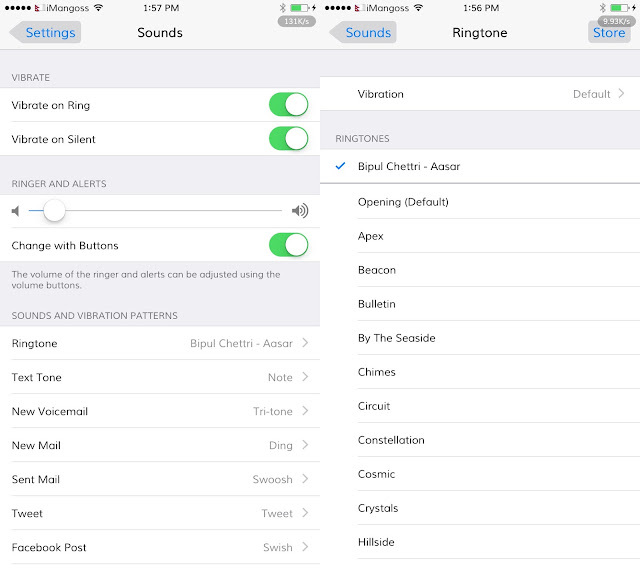 Before setting ringtone on iPhone, you need to create a custom ringtone which you want to set. So let’s begin…. 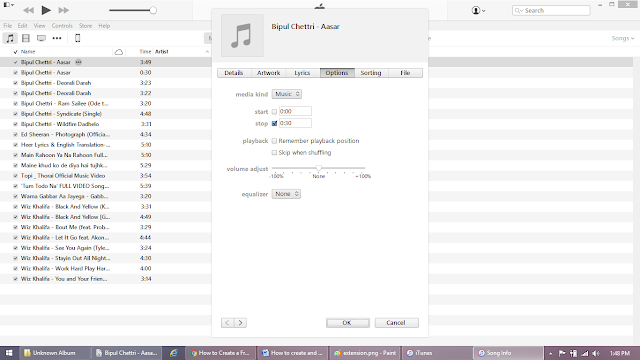 1: Open iTunes and click on the music tab. 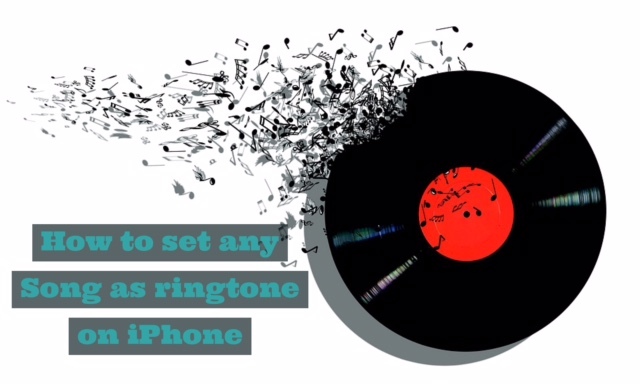 Step 2: Now choose any song that you want to use as ringtone. Get Info, and then click the Options tab. will see ‘Start time’ and ‘Stop Time’ check boxes. start and stop time for it. Step 5: Select ‘Create AAC version’ & iTunes will duplicate the track as in the picture. to .m4r because iPhone uses .m4r file type as a ringtone. windows. For Mac, click on show in finder. Note: If your windows explorer is configured to hide the extensions of files, you will need to enable them. 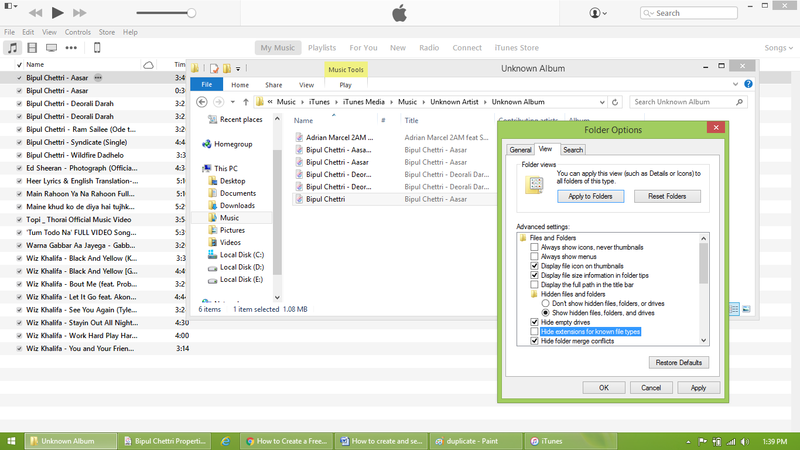 Click Tools and select Folder Options. In the View tab, first unchecked the “Hide extensions for known file types” box. should be up on your iPhone too. Whichever iOS you are running, you can set your favorite songs as ringtone on your iPhone running iOS 10, 9, 8 and below. > You will see the ringtone you had created and synced from iTunes. feel tired of hearing the same old “Marimba” & “Opening” tone. If your device is already jailbroken and having some confusion on above tutorial then download UnlimTones from Cydia’s BigBoss Repo for free which lets you to make custom ringtones and sms tones very easily.